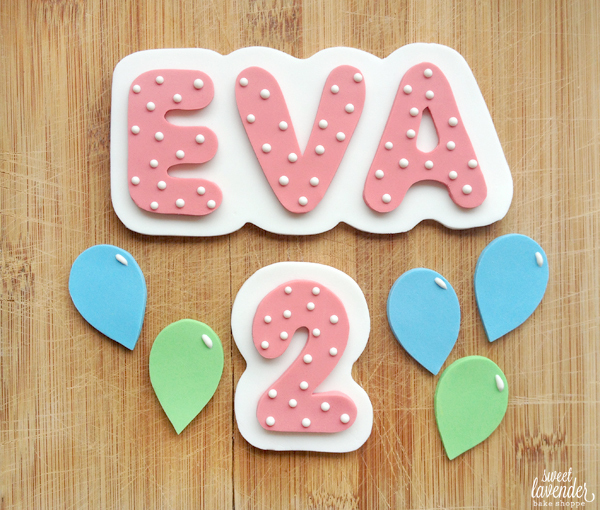 Just wanted to throw up a quick little note saying "Happy Birthday little Eva!" The sweetest girl had the sweetest birthday- and boy was I excited to be a part of it! Decorations were simple but totally cute as could be! 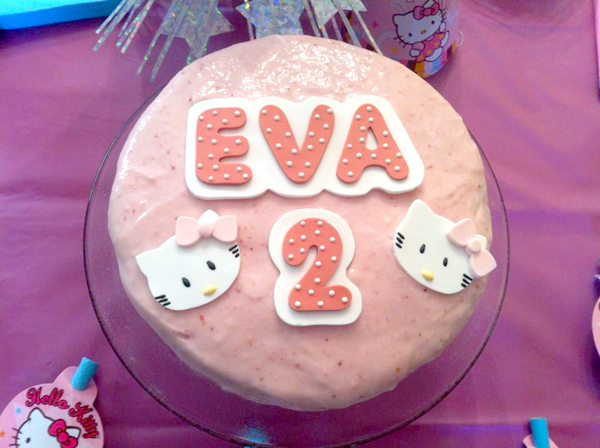 For her cake we made a custom edible cake plaque in soft rose pink with little white swiss dots. 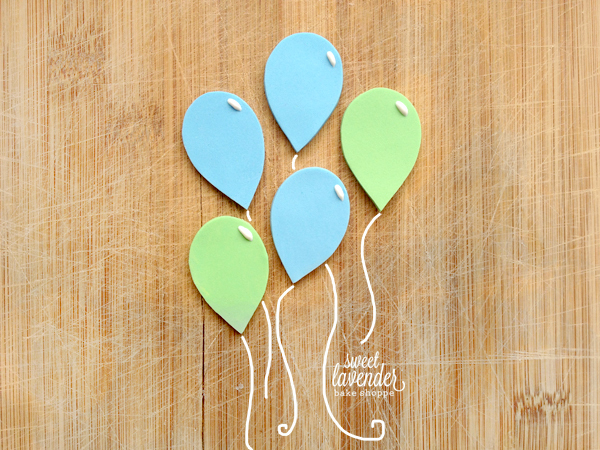 Accompanying that plaque was an array of little blue and green edible balloons! I'm just totally swooning over the whole thing and so happy the mama sent us a little sneak peek picture! *Picture courtesy of mother. Picture was used with her permission.